We urgently need new ideas on toad control. 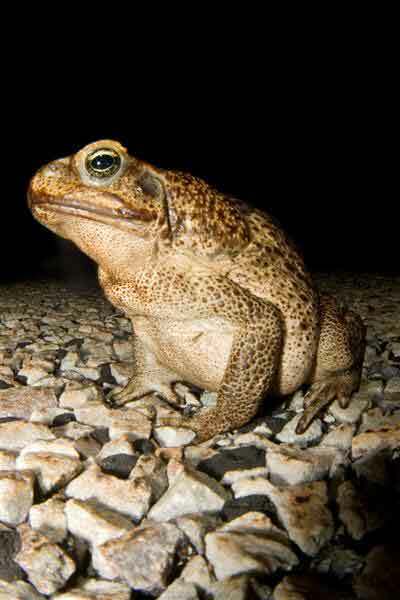 In other pages on this website, we've explained why toads are so difficult to control, and why previous ideas on cane toad control really haven't worked. Physically removing adult toads has no longterm effect, becasue they can breed up again so rapidly. Although some scientists hoped to create genetically modified viruses to kill toads, they eventually gave up. We’re glad that they did, because we were worried about the collateral damage that would arise from that approach, even if the technical obstacles could be overcome (which always seemed unlikely). When Rick began his work on toads, he doubted that we would find ways to control them; cane toads are incredibly effective invasion machines! However, our research has revealed more and more chinks in the toad's armour, to the point that we are optimistic about the possibilities for toad control (though not eradication). Team Bufo's research hasn't been designed for this purpose - our funding from the Australian Research Council is to understand toads and their effects, not to control them - but clearly it would be a terrific spin-off if that knowledge could be used to reduce the impact of cane toads on Australian biodiversity. So, we've put special effort into parts of the research that might help in this way. That effort has been helped by extra funding from the Australian government (Department of the Environment, Water, Heritage and the Arts) to look at pheromones and spawning-site choice in toads; from the Invasive Animals Co-Operative Research Centre to explore effects of parasites on toads in Queensland; and from the Western Australians Department of Environment & Conservation, to understand frog and toad parasites at the toad invasion front. The results from that work, in combination with our other recent results from the studies at Fogg Dam, are really encouraging. First, Mattias Hagman discovered that cane toad tadpoles have a special "alarm pheromone" - a chemical substance they produce when they are frightened or injured. It travels through the water and alerts nearby tadpoles that something is wrong - most likely, a predator is attacking one of your brothers or sisters - and the toad tadpoles flee as fast as they can from the chemical. 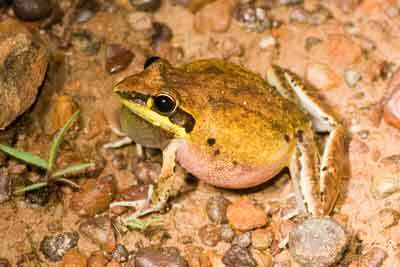 Tadpoles of Australian native frogs don't react to the toad chemical - they probably don't even detect it. When we added water containing the alarm pheromone to this tank (near left corner), the toad tadpoles fled from it (so are clustered in the top right corner). What use is it to frighten toad tadpoles? Well, it stresses them. In trials in outdoor ponds, adding the alarm chemical every day for a couple of weeks killed about half the toad tadpoles in our ponds. And when the survivors turned into little toads, they were tiny - less than two-thirds the weight of their brothers and sisters from the ponds next door where we hadn't added the alarm chemical. So, adding the alarm chemical to ponds can kill many toad tadpoles without affecting frog tadpoles, and can "miniaturise" the emerging toadlets. That early work has been followed up by more recent studies on other types of pheromones. We found a special chemical that attracts cane toad tadpoles (but not frog tadpoles), so we can use it to catch toad tadpoles. We’ve been able to eradicate them from breeding ponds in this way. And even more recently, we found another pheromone – one that tadpoles produce to kill younger tadpoles. It looks very promising as a highly targeted method for toad control. 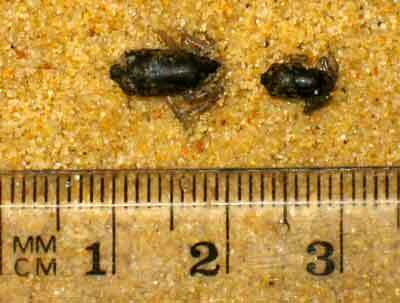 Exposing tadpoles to the alarm pheromone makes them transform into toadlets at a much smaller size (on the right) than normal (on the left). Another new finding was one that had us excited for a while, but it now looks unlikely that it will be useful for toad control. But it’s worth telling the story, because it shows how science happens. In 2006, Crystal Kelehear studied a lungworm parasite that is common in Queensland cane toads, but has only recently arrived in Northern Territory cane toads (the parasites slow toads down, so have lagged behind the fast-moving toad invasion front). Crystal infected baby toads in the laboratory, and found that the lungworm was devastating for the tiny animals - about 30% died, and the remainder grew more slowly, moved more slowly, and so on. The parasite was especially lethal to very small toads – so transforming from the tadpole stage at a small size (as happens if the tadpoles are exposed to the alarm pheromone) makes the baby toads really vulnerable to the lungworm. This was really encouraging - we might be able to spread the lungworm parasites around, especially to toads at the invasion front, and kill many of the baby toads as they emerge from the water. And we could increase the effect of the lungworm by spreading the alarm chemical around at the same time, to “miniaturise” the baby toads. But there's a problem - would we also kill lots of native frogs? If so, the parasite can't be used to control toads. But maybe this isn’t likely to be a problem? – read on! What is the parasite that lives in toad lungs? Third, another part of the parasite story. 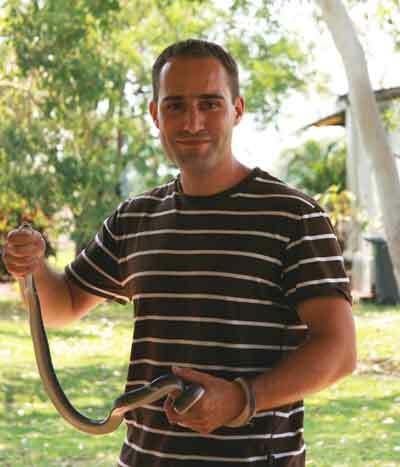 Dr Sylvain Dubey worked out just what kinds of lungworm parasites occur in toads and frogs. 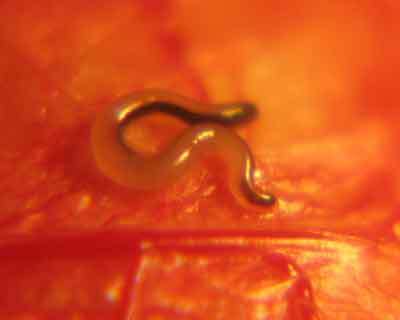 The parasites all look about the same, and there has always been a lot of uncertainty as to which species were which. The only reliable way to identify them is to look at their DNA sequences - a lot of work! But Sylvain compared DNA from lungworms found in toads (both in Australia and South America) to that from Australian frogs (mostly from Queensland, where the toads and frogs have lived side-by-side for more than 50 years). Dr. Sylvain Dubey's skills in molecular biology gave TEAM BUFO an exciting breakthrough. 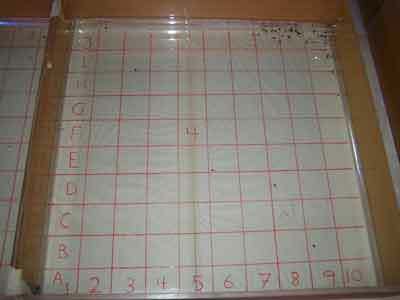 And the result amazed us. Scientists have always thought that the cane toads left their native parasites behind in the process of being moved to Australia - and so, the lungworms in Australian cane toads were believed to be a species (Rhabdias hylae) that is common in Australian frogs. This would make it difficult to use the lungworms to control toads - because if we made the worms more common or more infective, we'd cause problems for native frogs as well. But Sylvain's results show that we may not have to worry about this kind of collateral damage. All of the lungworms that we have found in Australian cane toads so far are Rhabdias pseudosphaerocephala - a South American species! So the toads have brought the parasite with them, not picked it up from the Queensland locals! And even better, all of the lungworms we have identified from the Queensland frogs are genuine Aussie species - none have been carrying the cane toad's parasite! Dr. Ligia Pizzatto has been checking this important issue by trying to infect native frogs with the toads' parasite. So, we were getting pretty excited about using the lungworm for toad control. A community group (Kimberley Toad Busters) heard about our work on parasites, and got so keen on the idea that they tried to push the government into letting them release parasites. And their website says that they even set up some research of their own. But it all turned into a fizzer. First, Dr. Ligia Pizzatto’s work showed that the toad lungworm can be deadly to some of the native frogs, so it would be crazy to use it for toad control. And second, our more detailed work showed that the effects on toads aren’t really great enough for parasites to have much influence on toad numbers. For example, the parasites don't slow down the toad's rate of dispersal. And third, it also emerged that parasites have trouble surviving on the invasion front, because toads are too scarce and the lungworm larvae can’t find new hosts. So, this idea is now dead and buried – it looked good for a while, but it just won’t work. That’s the way research goes – you have a new idea, and you follow it up, but sometimes it turns into a dead end. That’s one of the reasons why TEAM BUFO has tried lots of different approaches. And at least for the moment, it seems like the tadpole pheromones are giving us the most powerful weapons, so we are concentrating mostly on them. Both frogs (above) and toads (below) have parasitic worms in their lungs, but the worms are different species. 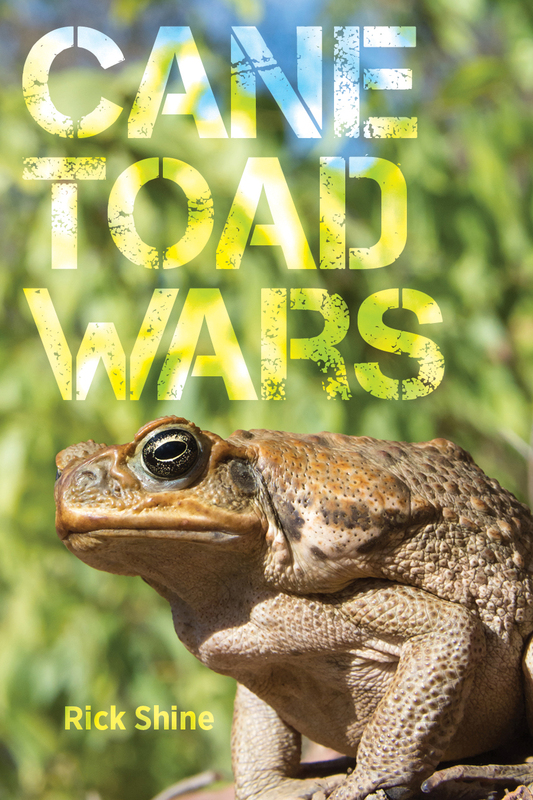 For the full story about the cane toad invasion of Australia, and what we can do about it, read Rick’s new book “Cane Toad Wars” (published by University of California Press, 2018). The book is written for the general public, not for scientists, and is aimed at a wide audience. The book can be purchased through Amazon or (within Australia) through Footprint Books. Or you can buy a copy through your local bookstore.